Customer service is not normally something associated with the perpetrators of crime. But crypto-ransomware, the digital demon that has been crippling businesses and plaguing consumers and has been referred to as an “epidemic” in 2016, is different. Although they state bold deadlines, the criminals are usually willing to negotiate the price. 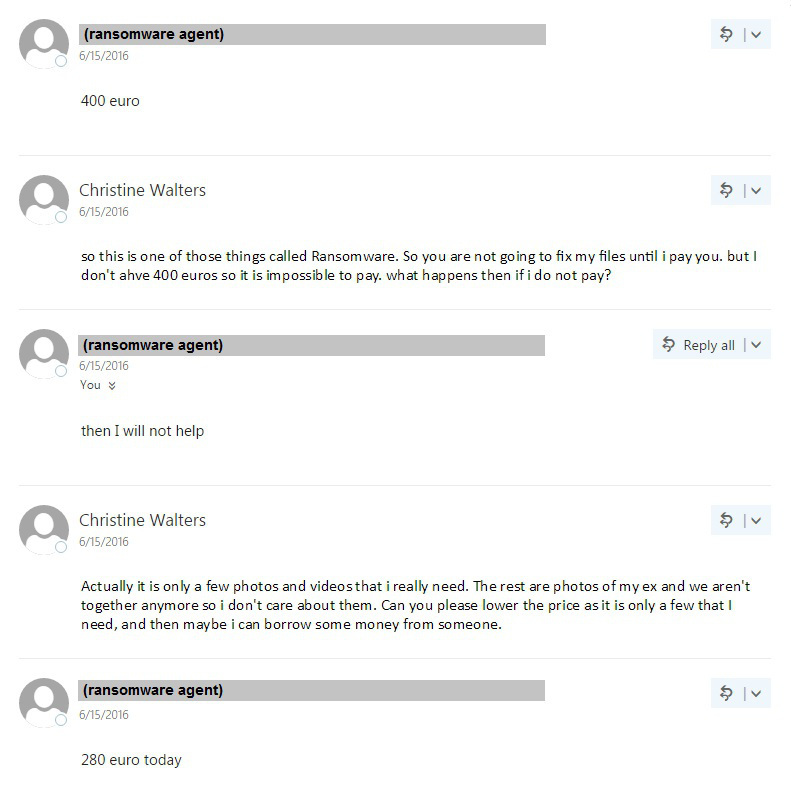 Three out of four variants we contacted were willing to negotiate, averaging a 29% discount from the original ransom fee. Read the original article over F-Secure.com.